While he joined the ANC and was liberal compared to other Nats, many won’t want to remember him as anything other than the symbol of oppression. It is not surprising that for many South Africans, the idea of eulogising one of the key figures of apartheid is not a popular one. 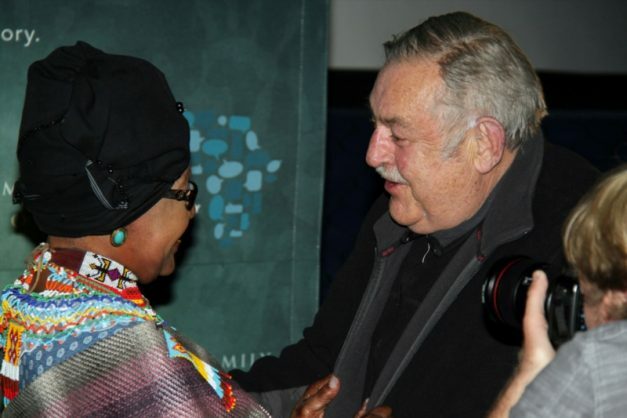 A look at social media shows that some have not responded sympathetically to the death of Pik Botha. Comments on the story reporting on his death on The Citizen include: “Great news to start a weekend”, “Thank you for the Almighty. We waiting for the rest to follow him”, and “May he rot in hell”. For many South Africans, there is understandably no love lost between them and the late apartheid-era foreign affairs minister. Botha was certainly a driving force behind attempts to legitimise apartheid internationally. Much like many of those tasked with bolstering Israel’s global image, he often justified his government’s crimes by pointing out that other global regimes were less than perfect themselves. The king of what would today be known as “whataboutism”, Botha loved to tell Americans that they had no place moralising about race. While some would bring up the fact that he became an ANC member in 2000, putting his trust in Thabo Mbeki and describing his membership as an act of attrition, or that he is known to have pushed for the release of Mandela from the early 80s – when this was still an extremely unpopular idea within his party – others may easily counter that by pointing out the role he played in attempting to legitimise apartheid globally long after the world had declared it unacceptable. But remembering Pik Botha is more complicated than remembering, say, his namesake PW. While PW was the stereotypical Nat – conservative, authoritarian and puritanical – with his finger-wagging at the nation during his frequent lectures on state broadcaster SABC; Pik was flamboyant, quirky, and nothing if not an anomaly within his party. Since his death, some pictures of him at the launch of a documentary on apartheid, Plot to Peace, including the one used for this article, have been doing the rounds. They show him and Winnie Madikizela-Mandela embracing each other and seemingly sharing a joke. This does not in any way negate his role in extending and enforcing apartheid. But you could not imagine many of the other big apartheid leaders being captured on camera this way. Du Preez also noted that Pik’s children, who include Afrikaans alternative rock icon Piet Botha, adored him. Of course, Du Preez also pointed out that Botha was very much instrumental in propagating the racist and morally unacceptable system of apartheid. Botha was famous for his drinking, with a Mail & Guardian article noting that he was well known for having his first glass of wine of the day before noon. He is also known, whether mythologically or truthfully, as having negotiated the end of the Angolan war after impressing the Cubans with his ability to drink them under the table. It’s tricky, humanising those who are so clearly on the wrong side of history. It’s hard to know where to draw the line. You could point out that Hitler loved animals and was a vegetarian, if you wanted to show his lighter side. But many would rightfully wonder why on earth you’d attempt to do that. But for me, Botha’s death shows that the world can’t be as neatly divided into good and evil, black and white, as we’d like to sometimes.